Domestic and commercial staircase design and installation. NJ Steel Solutions design and fabricate a range of steel staircases in mild or stainless steel for both domestic and commercial properties for internal and external use. Whilst almost used in commercial projects we install a range of mild steel and stainless steel internal staircases offering a different range of styles and unique designs incorporating glass or steel balustrades for staircases for the ultra modern finish. Designs can vary from a simplistic clean look to more complex ornate features. 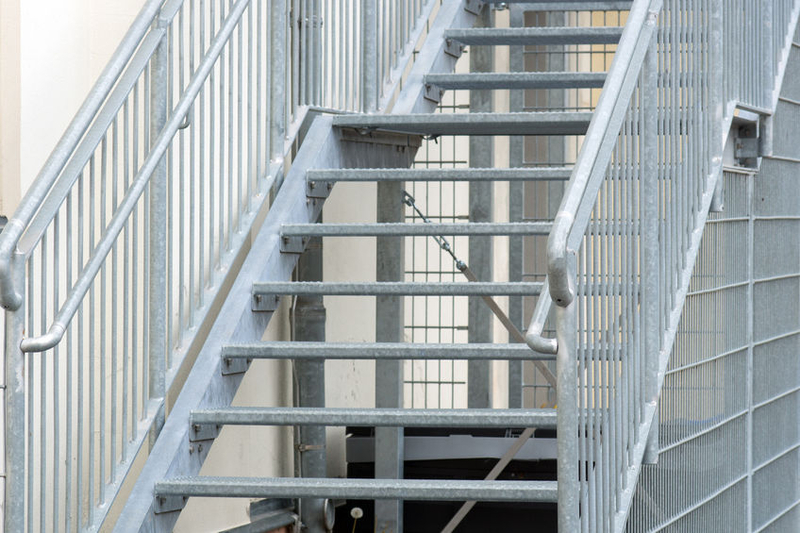 We are able to design and build internal and external steel staircases and fire escapes for shopping centres, hotels, schools, office buildings and anywhere a robust, strong, durable solution is required. Working closely with you or your designer we are able to offer a complete service to meet your exact requirements. We fully understand the need to work within budget and on time to ensure your steel staircase is installed with the minimum of disruption. Whether its the installation of a single staircase in your home or a number of multi access staircases across a number of stores or business premises NJ Steel Solutions assure you of a unique customer experience. Contact NJ Steel Solutions for more information about fitting domestic and commercial staircases.